A cigar-shaped meteor is the first ever recorded intergalactic space rock that has been observed speeding through our solar system. In one of the most extraordinary events in our solar system in recent history, astronomers have detected an object flying through the solar system at an extraordinary speed in the shape of a cigar that appears to be from another star system. 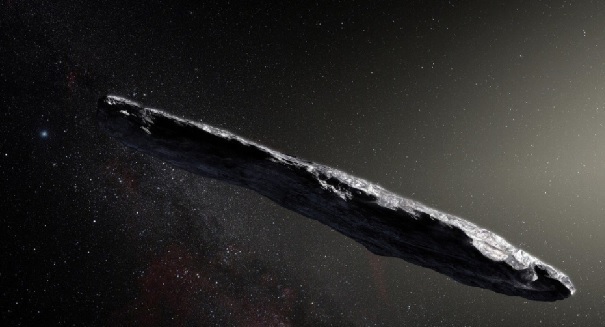 Scientists spotted it using the Pan-STARRS telescope at the University of Hawaii, and it is named 1I/2017 UI and nicknamed Oumuamua, which means “messenger” in Hawaiian. The object is shaped like a giant cigar at about 400 meters in length. While this is the first time we’ve spotted an interstellar visitor, scientists believe they commonly visit the solar system and swing by the sun just about every day. Astronomers with the European Southern Observatory used the Very Large Telescope in Chile to observe this incredible object, which appears to have been traveling for millions of years before happening across our system. The findings were published in the journal Nature recently.